Visit with family and friends while sharing food and refreshments in the Life Story Center following the service. 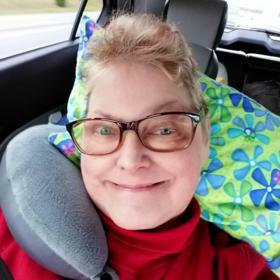 Patty (Patricia) Miller-Kramer, age 54, lost her valiant battle against a rare form of brain cancer on May 3, 2018 at her home in Kalamazoo, Michigan. 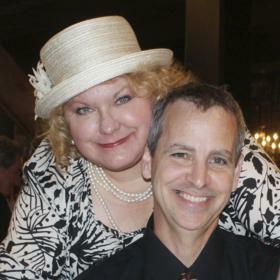 Patty was born on October 8, 1963 in Flint, Michigan to Roy Miller and Elizabeth Laura Miller (Ferweda). Known for her penchant for debate, she enlightened many as she taught that there are often multiple sides to any story or political view to consider. Patty had many hobbies and interests. She had a zest for shopping, an artist flair that allowed her to color John’s balls (golf), and planned several memorable vacations. An ice cream connoisseur, she was known to espouse the virtues of Plainwell ice cream with too many favorites to name. Her go-to phrase was, “Ice cream solves everything.” Patty rescued countless abandoned animals and found them their forever homes including her own. Her latest rescues and loves, Daisy & Lewis, comforted her ‘til the very end. 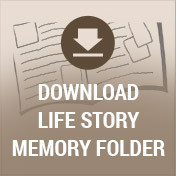 Patty reminds readers that life is short and urges us all to make memories every chance we get. She leaves behind her super, wonderful, and devoted husband of almost 31 years, John F. Kramer II. She is survived by her sisters Patrice Dziuban and Cathy Daniel, brother Tim (Wendy) Daniel, as well as by the family she chose: Michael Kochom, Kathy Fretz, Katharine Hermsen, and Pat Pallet. She is further survived by dear mother-in-law Marlene Kramer, and brother/sister-in-laws: Frank & Julie Kramer, Matt & Julie Jankowiak, and Jim & Jennifer Hofmeister. She was the dear aunt of many loving nieces, nephews, great-nieces, great-nephews, and held precious a host of long-time friends. 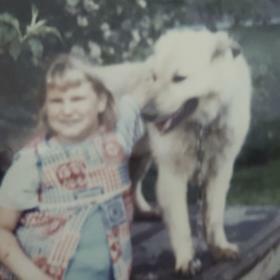 She was preceded in death by her father, mother, oldest sister Wendy Lou Miller and dear Aunt Evelyn Daniel who helped raise Patty and her sister after their mother passed, and her father-in-law, J. Frank Kramer. The family would like to thank the wonderful medical assistance she received at The Ohio State University, the University of Michigan, and Bronson Methodist Hospital. 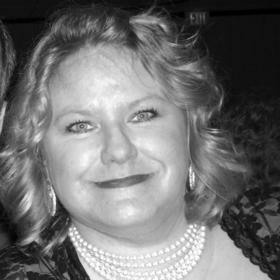 “If the people we love are stolen from us, the way to have them live on is to never stop loving them.” A Celebration of Patty’s life will be held at 11 AM, on Saturday, June 9 at the Betzler Life Story Funeral Home, 6080 Stadium Drive; Kalamazoo (269) 375-2900. Attendees will be able to share a funny story or memory they have of Patty. Patty hopes to have an amusing celebration of her life.  Following, visit with family and friends while sharing food and refreshments in the Life Story Center. Memorial donations in memory of Patty can be made to SPCA of Southwest Michigan or St. Jude Children’s Research Hospital. 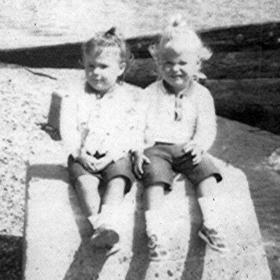 Please visit Patty's personal webpage at www.BetzlerFuneralHome.com, where you can archive a favorite memory or photo of her and sign her online guestbook.